These gentle giants prove that it's not just humans who mourn the passing of a dear friend. 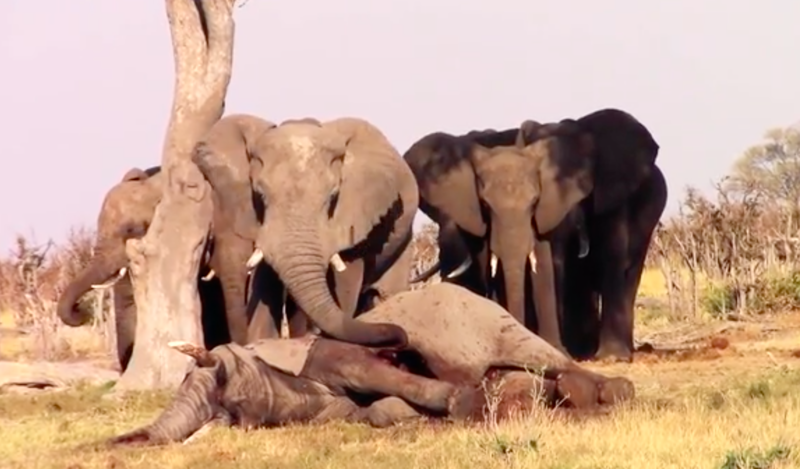 An elephant herd at the Chobe National Park in Botswana carefully stood watch over their deceased comrade. Tracking the Wild reports that the poor animal had to be euthanized by park rangers after breaking its leg. Its remains had apparently been ravaged by scavengers -- but its herd refused to abandon it. One of the elephants even tenderly touched the deceased animal's body with its trunk. 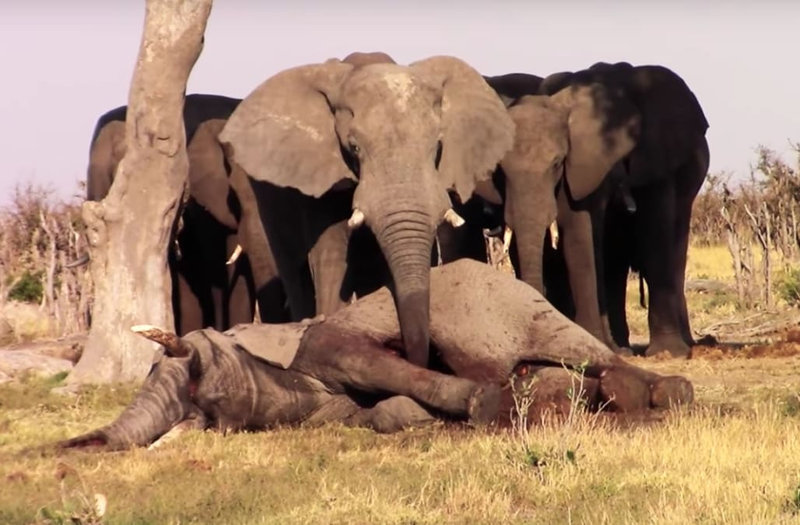 This isn't the first time footage of grieving elephants has turned heads. In 2016, footage of a blind elephant named Jokia grieving for her best friend of 17 years, Mae Perm, went viral. "She stood over her for almost six hours, touching and nudging and leaning against the lifeless body of Mae Perm," Thailand's Elephant Nature Park wrote on Facebook. It's clear from these incredible emotional gestures that these intelligent pachyderms love deeply.